A mention of robotics usually brings to mind the idea of robotic arms lifting heavy objects or materials at a manufacturing or automobile plant. Robotics have been associated mainly with the execution of highly complex tasks and have been thought to be more suitable for heavy-duty industrial jobs or construction work. This has been one of the primary reasons that a majority of the enterprises, to-date, have refrained from using robotics or RPA (Robotic Process Automation) for producing goods or serving customers. Robots have also been thought of as creatures that are confined to a cage to work in isolation with no interaction with human workers. With new advanced programming methods, even small- and medium-sized companies can easily integrate robots into their production line or service area to enhance revenues and process efficiencies. These new digital robots are capable of handling simple, everyday tasks related to customer service, cybersecurity, handling complaints and service requests and performing maintenance. The coming years will see the rise of robots that can work in both semi-structured and unstructured environments. This will enable companies to utilize robotics to execute a multitude of tasks across the enterprise. 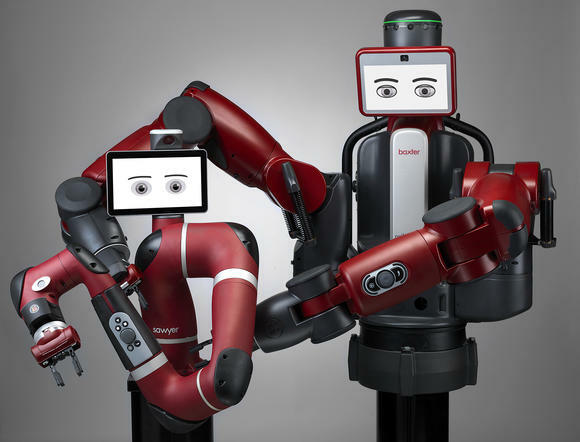 In addition, these robots will now work seamlessly and in tandem with human employees, which would augment each other’s strengths to increase overall productivity. The future belongs to a new generation of highly-evolved robots that can handle an increasing amount of variability in tasks and environments. Already, robotics are being used across industries including manufacturing, logistics, healthcare, retail and agriculture. Some of the most effective and efficient intelligent robots are powered by AI (Artificial Intelligence) and are seamlessly integrated in overall enterprise operations. From highly specialized cases, to less intensive and flexible processes, robotic applications are already seeping into enterprises in more ways than one. Industrial Robotic Arms: Robotic arms are not new, especially to the manufacturing and automobile industries. Be it for assembly line tasks or for carrying heavy or hazardous materials, robotic arms have been around for a long time. However, the new generation of robotic arms will be powered by the concept of human-robot collaboration to create a pioneering production line. For example, in a factory producing high-tech automatic transmissions for automobiles, there are specific parts that can be damaged even if they are slightly mishandled by workers. This can cause subsequent manufacturing defects. By using robots to handle particular precision parts, the risk of any possible damages is eliminated along with the risk of production defects. Unlike the traditional robots that were separated from human workers, the new generation of collaborative robots can work directly with people. Manufacturing units of the future can use such collaborative robotic arms specifically for tasks that are too dangerous or ergonomically difficult for human workers. Chatbots: Yet another rapidly expanding robotic form, chatbots are being used essentially for providing better customer service and enhancing customer engagement. Chatbots can be the perfect tool for 24/7 customer service and can provide quick resolutions for customer queries, troubleshooting or for tracking order status. Imagine a customer who would like to open a new bank account—instead of making multiple visits to the bank, getting stranded in long queues or dealing with overworked bank executives, the customer can open a conversation with a chatbot. The chatbot can intelligently engage with the customer and then depending upon the needs, recommend the right account type. The chatbot can then explain the next steps required to open the new account, outline the required documents and set up an appointment with an executive at the nearest branch. This would help the customer to complete the process in one easy step, saving valuable time for both employee and customer. Chatbots can help companies free up human workers valuable time and allow them to focus on complex tasks, thereby ensuring maximum utilization of available resources. Drones: Drones have emerged as the most sought-after surveillance technologies. Drones can be remote-controlled, semi-autonomous or fully autonomous. While most of the drones today are dedicated for security or information gathering, several e-commerce giants are now starting to look more closely at considering them for package delivery. Social Robots: As the name suggests, social robots can interact and communicate with people or other machines by following a set of social behaviors and rules. While still in its nascent stage, these robots are being piloted in the hospitality industry. These robots are being deployed to assist front desk executives or being tested for room service positions or serve as waiters. Social robots are capable of more enhanced natural user interaction. Humanoid Robots: The ultimate form of robotics, humanoid robots have yet to become mainstream mainly because of the high cost required to deploy them. Humanoid robots can be biped or quadrupedal and can be made useful in several areas such as scientific research, personal assistance, entertainment, automotive manufacturing and education. These robots are already being used for medical simulation to allow students to work and learn on human-like systems without endangering human life. While the current robots used to have only a human form but offer no expressions, future robots will have an expressive face, vision and mobile limbs to provide a more realistic experience and human response to medical emergencies. As robotics applications become increasingly sophisticated, more and more enterprise work processes and systems will be driven by them. 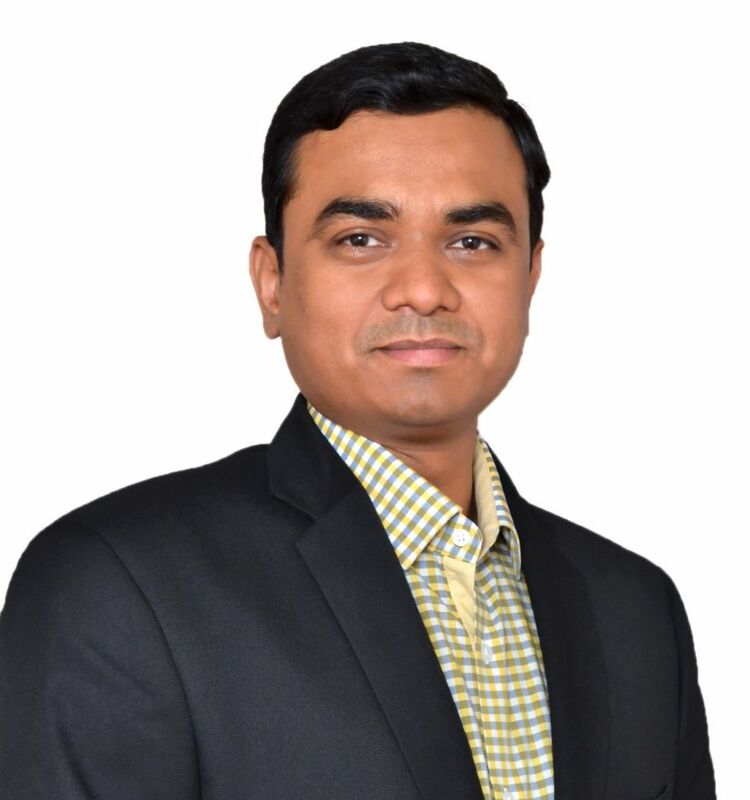 Abhijeet comes from Electronics and telecommunication background and has a deep interest in computer science, Robotics, Mobile, Cloud and NLP solutions. He worked in several product and services companies during his vast experience of 18+ years. Before Joining Mobiliya in 2010, he has worked with Motorola. He was part of first few early members of Mobiliya who were instrumental in laying a solid foundation for the company. Mobiliya is a global IT services and engineering company enabling digital transformation for the world’s leading organizations through disruptive technologies. The company specializes in next-gen technology consulting, system integration, solution development, deployment and security. The company’s end-to-end services in niche engineering areas, coupled with an innovation-intensive approach, spearhead the success for Mobiliya’s customers and employees. With a quickly growing global team of over 400 people, Mobiliya steers advanced technologies like artificial intelligence, deep learning, robotics, blockchain, augmented reality and Internet-of-Things. Based on the strong foundation of its core software engineering capabilities, Mobiliya is setting and realizing technology benchmarks for its customers in industries including: automotive, healthcare, energy, insurance, telecommunications, logistics and more. For more information, please visit www.mobiliya.com. "With new advanced programming methods, even small- and medium-sized companies can easily integrate robots into their production line or service area to enhance revenues and process efficiencies." - very good point indeed, Abhijeet! Especially if it's software robots that you're talking about. We at CiGen wholeheartedly believe that there should be no delineation between company size and the ability to adopt RPA, considering the favourable cost-benefit outcome of implementing it. In fact, both deployment and implementation costs have significantly decreased over the last years, to the point that robotic process automation in small and medium businesses is no longer wishful thinking. To put more flesh on the bones of this claim, I'd like to mention that we license and manage our own fleet of RPA software robots which can be deployed and scaled at short notice to serve as the digital extension to the workforce of an SMB https://www.cigen.com.au/rpa-robots-for-hire/.